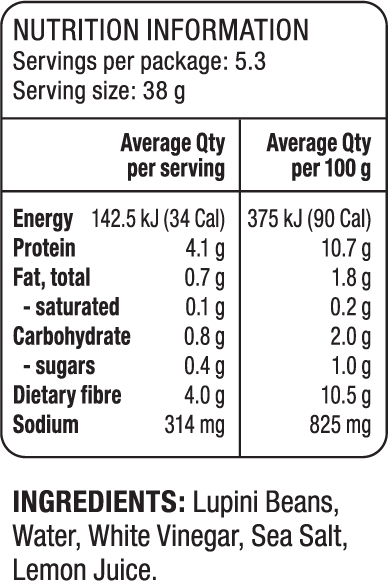 Packed with more protein and fibre per calorie than most other plant based sources! Just pickled lupini beans, a sprinkle of sea salt and lemon juice – that’s it. 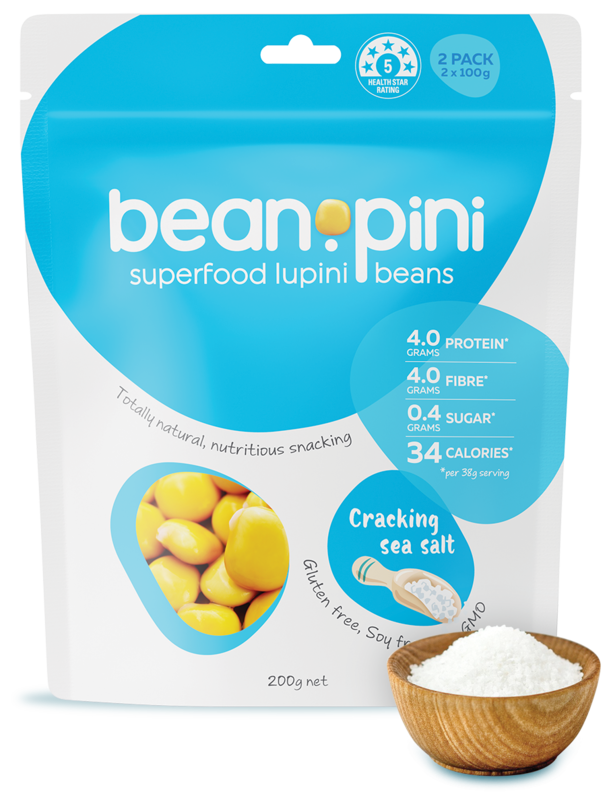 Find out how we make our beanopini here.